A “smart” thermostat is WiFi-enabled and allows you to control the temperature in your home from your phone. Many models also “learn” your preferences and adjust the temperature automatically throughout the day—for example, to save energy when you are not home. For data junkies, smart thermostats also capture a ton of information, including temperature and humidity, energy consumption, heating and A/C run times, and specific setting histories, among others. Not sure which smart thermostat is best for you? 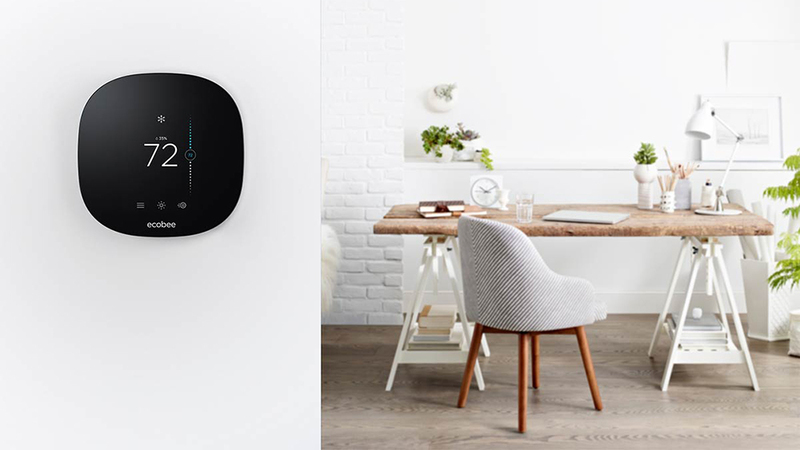 Read this helpful guide from the CNET — the world's leader in tech product reviews, news, prices, videos, forums, how-to's and more — to get up to speed on the best smart thermostats on the market today. 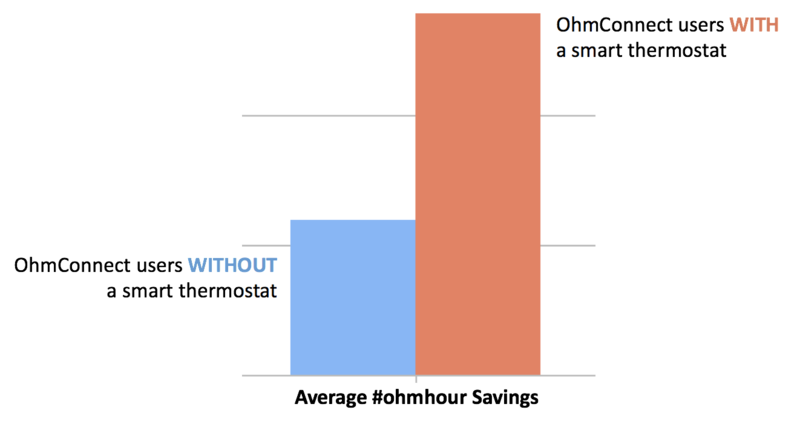 OhmConnect users with a connected thermostat save more than twice as much, on average, compared to users without a connected thermostat. Oh, and this is on top of the 5-10% savings on your heating and cooling bill for upgrading to a smart thermostat! Each home is different, of course. If you’re interested in calculating your potential annual savings, check out Honeywell’s Energy Savings Calculator. How can I get a rebate on a smart thermostat? Smart thermostats can help you save energy and money off your monthly utility bill, but you may still be wondering whether they are worth the investment. All three utilities offer money back on purchases of smart thermostats. This includes an Energy Efficiency Rebate and an Automated Demand Response Rebate. The Energy Efficiency (EE) Rebate typically applies to ENERGY STAR-certified thermostats. ENERGY STAR is a national program that lets consumers know which devices meet strict efficiency and quality standards using an easy-to-recognize label. The additional Automated Demand Response (ADR or DR) Rebate rewards you for connecting your smart thermostat to programs such as OhmConnect that help save energy when the grid needs it most. These rebates are offered by your utility, NOT OhmConnect. We are simply the messenger and do not have information on the status of your application (sorry!) But be aware that rebates likely take time — up to two months — to process. Rebate details: Review EE rebate requirements here. The ADR rebate is discussed here. For questions about the rebates and when they will be paid out, please contact PG&E. Rebate details: Review the EE and ADR rebate requirements. Ready to save? Get the form sent to your email via the SCE Marketplace. You do not have to buy your device from the Marketplace to receive the rebate. For questions about the rebates and when they will be paid out, please contact SCE. For questions about the rebates and when they will be paid out, please contact SDG&E. Maria is a clean energy enthusiast who is excited to play a small part in the energy transition. She is a Markets Analyst at OhmConnect. Previously, she led efforts to track and measure the impacts of U.S. climate policy on national GHG emissions at Climate Advisers. She has a BA in Economics and International relations from the University of Pennsylvania and an MA in Energy, Resources and the Environment from John Hopkins SAIS.